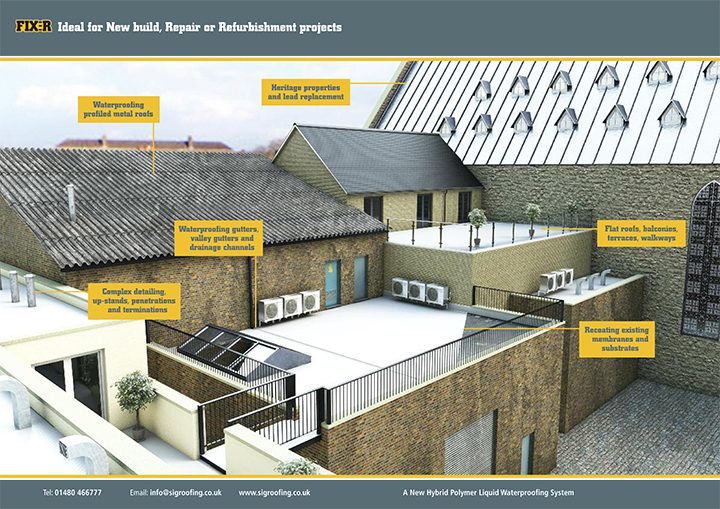 FIX-R Liquid Waterproofing System is a new hybrid polymer liquid waterproofing system based on alpha–hybrid silane terminated polyether technology. 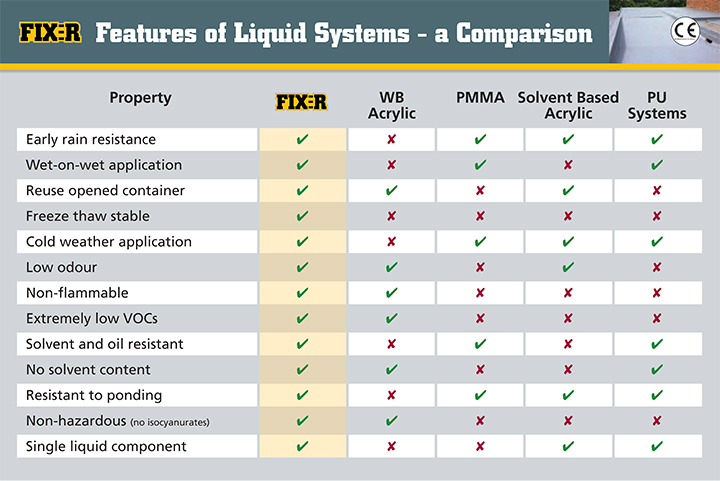 While it exceeds most performance criteria for polyurethane, PMMA and other solvent based systems, it also eliminates many of the disadvantages associated with these products. It is fully reinforced with a polyester membrane and cures through contact with the moisture in the atmosphere. Being largely independent of the weather it can be applied under practically any conditions, even on cold, wet days and on damp surfaces. Use FIX-R Fabric to fully reinforce FIX-R Liquid Waterproofing, creating a flexible and strong waterproofing system.